While on the move in and around Peru I managed to draw a smidge. I wish that I had drawn lots more, but the views are soo distracting, in a good way that is, haha. Thank goodness I live in the digital era, so I can revisit the adventure in pictures. I'm thinking of doing a series based on street meat and food...I'm just really fascinated with the open markets and the hustle that goes down. 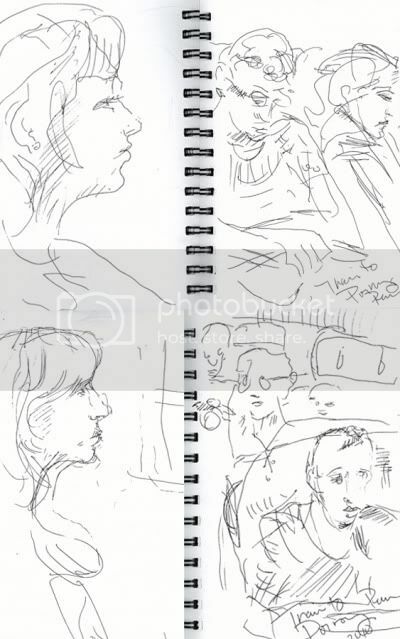 My buddy Dru Markle-Bloom is an amazing artist and did some quick train sketches of me and fellow passengers...I really love the looseness of the lines in her doodles. Enjoy! My Home Sweet Home Tennessee, glad you didn't melt while I was away! WHEW! What an amazing holiday! I had the best time ever and I've got, literally, thousands of pictures from my adventures...slide show anyone? haha. Well, I'm back in the saddle again and I am finally somewhat caught up with the two weeks of emails, phone calls, work and whatnot that occurred in my absence. It has been a really strange climate transition though...coming from 70 degrees of delight and chilly evenings to melt your face off 100+ degree Tennessee Sweat Fest 2010. It got down to about 20 degrees one night while we were camping! Needless to say I froze my tail off, but the views...OH! the views!! 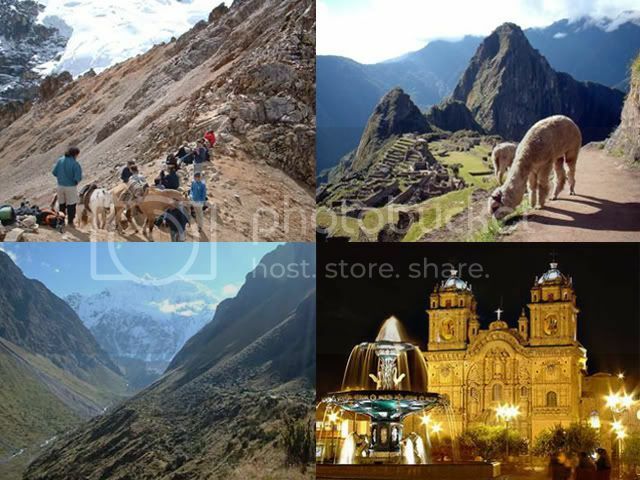 Peru is one giant postcard and you can't help but want to write a letter home filled with polaroids to friends and the folks about every 10 yards. The scenery was just breathtaking! The locals were lively and courteous to boot, even despite my southern accent butchering their beloved Spanish. I'm really looking forward to spending more time exploring South America in the future. Me and my friend Dru met lots of people spending months at a time just globe-trotting down there and my envy was probably evident by the green of my face! I really just can't get over what a fantastic time I had, so if their board of tourism needs an American spokeswoman, I'm all over it!! 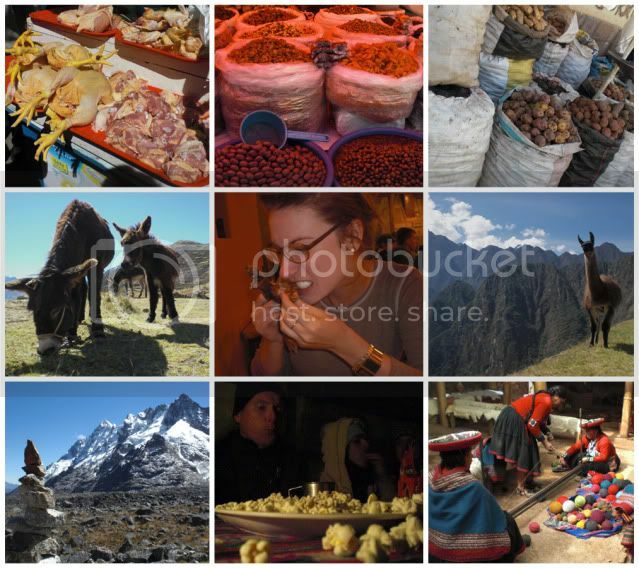 Here are some snapshots from the trip! Even though it pains me to say it...guinea pig does in fact, taste like chicken. haha. Enjoy! So, while fanning the pages of Details magazine I read a tiny blurb about Oregon based company Grove. 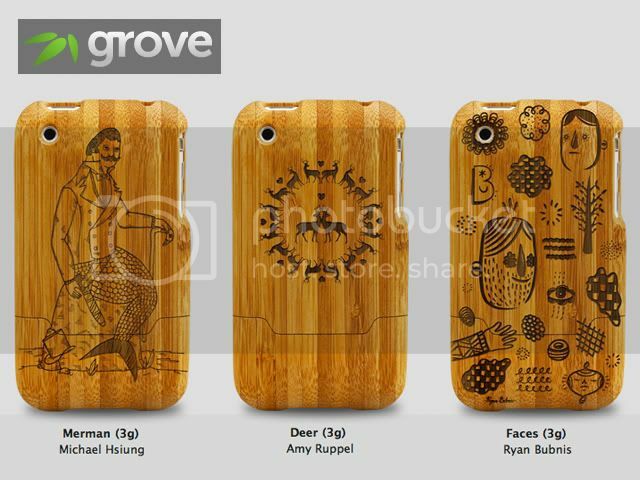 They make iPhone covers from bamboo. They offer three shades to choose from, I might add. But that isn't what makes them so awesome...THIS does...it is a small five man team that will laser engrave any custom design you want (set up in black & white that is) onto the bamboo shell that is the cover. My mind has been all over the place thinking of killer buck-related designs, haha. The only kicker for me is that...I don't have an iPhone. Not from my lack of wanting one, that is for sure, but AT&T doesn't hardly get reception where I'm at and dropped calls frankly aren't good for business. So, i'm sharing this so I can live vicariously through other's iPhones, haha. If you like to keep it simple, you can buy one plain or spice it up with a pick from their artist series. These are my favorite artist series designs. 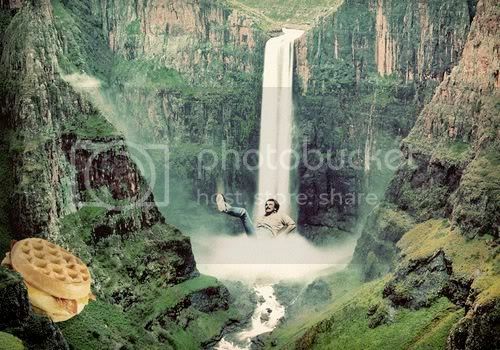 1. www.jamienelson.com - amazingly ethereal and enticing photography, love it! 3. www.pantonehotel.com - exactly what it sounds like, haha. this is just a neat and quirky idea. 4. www.paperrep.com - if you don't have a clue or need a refresher on the printing process check this out. 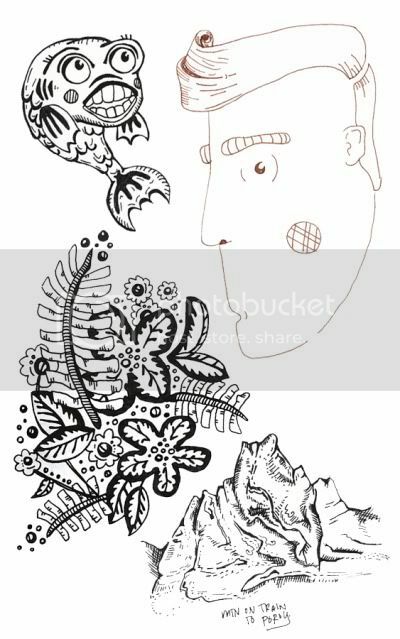 there are even free template downloads. 5. http://selectivepotential.blogspot.com/ - this girl Tieka is just precious! I enjoy following her blog, you might too! 7. http://www.omfgco.com/ - if it's wrong to love the ace hotel as much as these dudes, i don't wanna be right. haha. 8. http://spiekermann.com/en/ - man. myth. legend. erik spiekermann speaks...so listen. i love officina and his blog. 9. http://www.modcloth.com/ - shop til you drop. modcloth has vintage & inspired items, as well as, a fun variety of ways to interact with the company and an interesting blog. attention other online vendors, please take note. 10. http://www.learnsomethingeveryday.co.uk/ - be the center of attention at your next party with all the useless facts you can learn here. haha. If you find yourself in the Big Apple this Thursday, June 24th you should definitely mosey over to the Rooftop Films summer series! 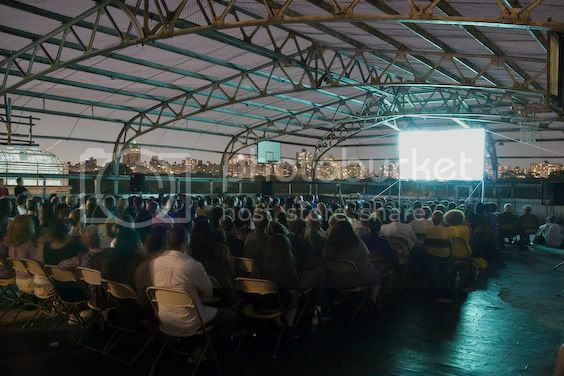 Rooftop Films shows underground films in outdoor settings. I mean how cool is this?! Hope you can make it out for a fun night in the city! A glimpse into the world of competitive birdwatching, as three friends attempt to see as many species as possible in 24 hours. Rooftop alums Gault and Henry explore the relationship between a man named Kevin and a baby crow he finds on the street one stormy night. Kevin's backyard provides the rich setting for a story about his conflicted relationship to nature. In the lush jungles of Borneo, an Iban father on the cusp of old age begins a river journey to seek medical help for his sick child. Along the way, the boy is troubled by recurring visions of a strange figure who appears on the river bank. Their journey contrasts the vibrant otherworldly flora and fauna in the rain forest with the grey, foreboding mechanics of modern urban life, and father and son are drawn inexorably to a final encounter with the mythical 'transformed' shaman who dwells deep inside the jungle. I'm diggin' the look of faux-bois, so I took my hand at making my own. Here is a quick snapshot of what I have been up to... more work to come, stay tuned! Ciao! I often find myself wandering into bookstores and buying books not based on story line, but by how well the book cover is designed. If they value design surely the story has to be compelling, right? Well, my eyes get the best of me sometimes I suppose, but at least the dud plot lines look good on my bookshelves! haha. Now I can get my visual fix for free and save my pocket some dough...just skip over to http://bookcoverarchive.com and see what I'm talking about. 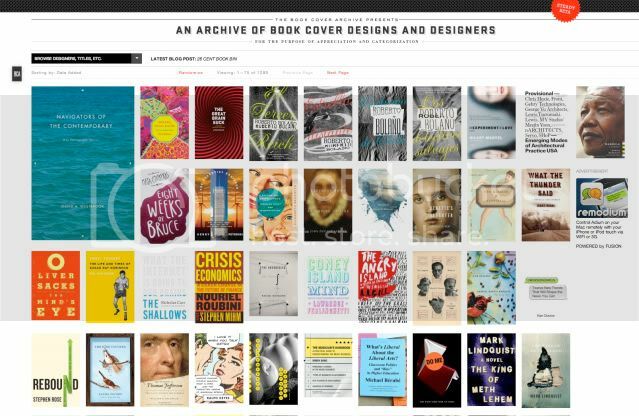 Fantastic database of book covers with helpful credit info like, designer/art director/fonts/photography and other tid-bits here and there. 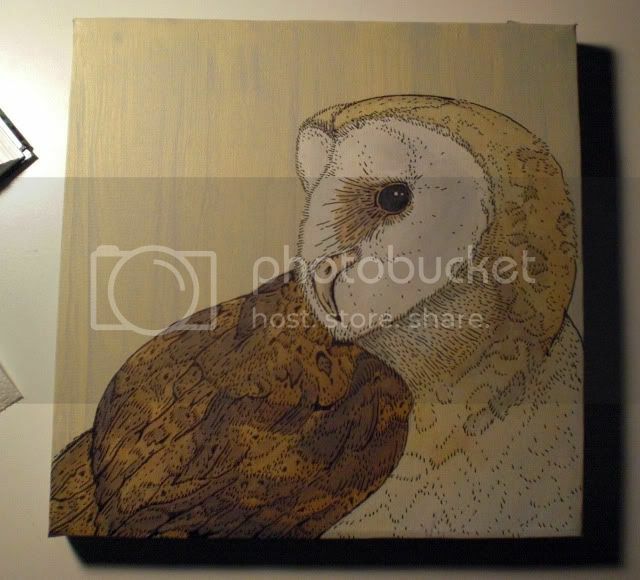 ALL WORKS COPYRIGHT OF EMILY BUCKNER.